A diverse class of excited youngsters are about to start school and experience all its wonders! Small moments like discovering one's own cubby space and big moments like a first nature walk are all brought to life with inviting artwork. 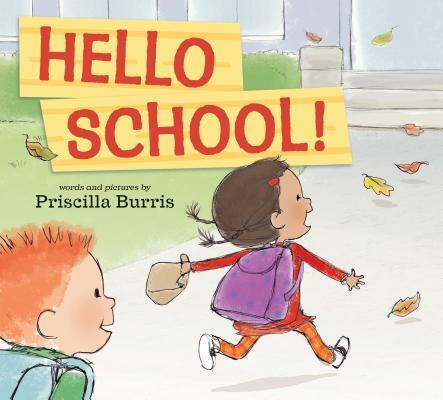 This is a great book to help familiarize children with all the activities they can expect at school, from circle time to snack time to goodbye time, all the while sharing the experiences with lots of great new friends. Priscilla Burris has illustrated numerous picture books, including Dad School and Mom School (both by Rebecca Van Slyke), Maggi and Milo and Maggi and Milo Make New Friends (both by Juli Brenning), and Edgar's Second Word (by Audrey Vernick), as well as chapter books such as the Humphrey's Tiny tales series (by Betty Birney). She lives in Orange County, California.